Last Saturday my hubby and I brought our two princess watched movies at the shopping complex near our house. 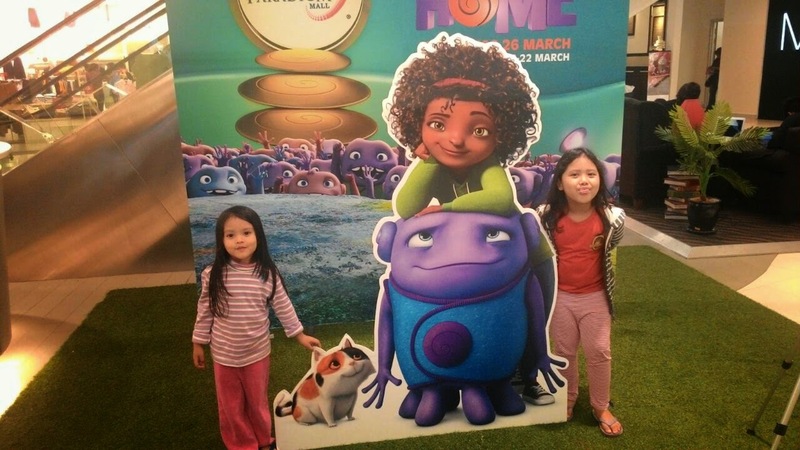 Its was our first time watched movie together and second time for our princess, Afrina and Adriana. 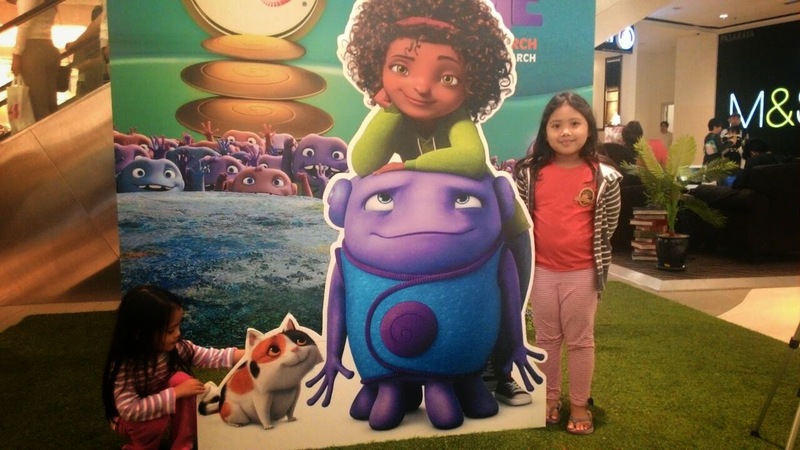 The first movies they watched at cinema was BIG HERO 6 last year on school holiday. 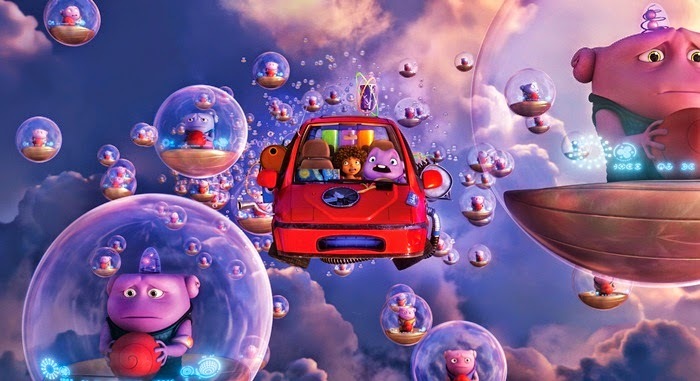 When you had kids ,the only movies that you will watch together definitely a cartoons.hehehe..Its almost 6years me and my hubby left our movies time together at cinema and just watched movies from home. The environment was totally different. Since that our girls had grew up and can behave themselves while watching movies ,I thinks watching movies will be our hobby from now on..yeah!but only cartoon okay? ..but never mine, from what I reads, to become children’s book writer,watching movies really help me to find idea for my book. Yes, that the benefits that I got when watching movies especially animation ,When other people watched to have fun, I will be thinking for idea for my next book. 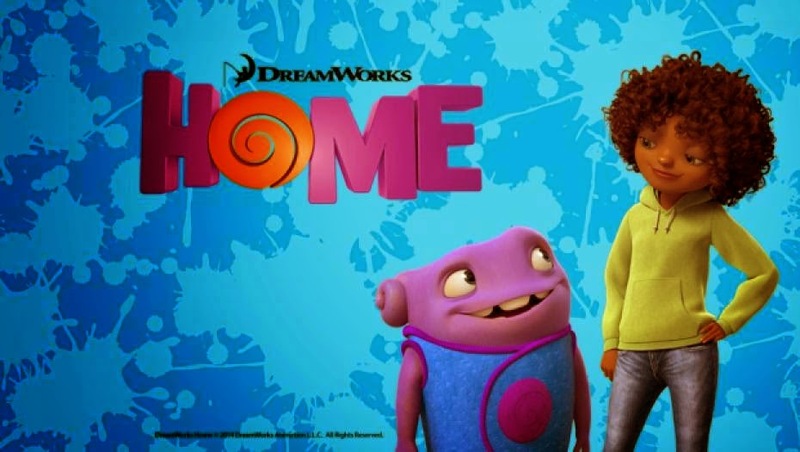 This new release movie was a great 3Ds animation movies, the theme of this movies is LOVE and FRIENDSHIPS. 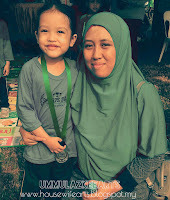 The characters was so cute, adorable and funny too. Not only kids will interested to watch these movies,teenagers or adults will have fun too. 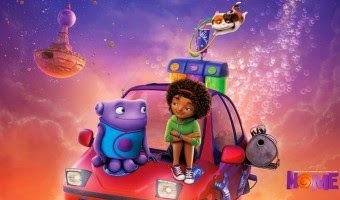 HOME is a story about an aliens,the Boov who run from their enemy the Gorgs.The Boov who was led by Captain Smek,have found planet Earth to be their new home.The had relocating the humans to other places while the Boov inhabit their home.There is friendly Boov named Oh who excited about new home and want to have a party with other Boov but none of the boov show up.And Oh feel lonely.Not to far from Oh new home,a teenager girl named Tip alone at her home with her cat named Pig.Tip is saperated from her mother Lucy during the invasion.When Tip out from home to find her mother,and Oh was runaway from The Boov after accidently send an invitation by email to all Boov include to The Gorgs. Oh meets Tip at the gas station and when Tip helps Oh from Kyle,who want to arrest Oh,they make a deals that Oh have to helps Tip to find her mother.Did Tip find her mother?and how about Oh?have Oh need to run for rest of his life.Got to watch this movie with your kids ,you will never regret.